When your back yard needs a little decorative touch, or you don't know how to decorate your fence. This product may be exactly what you are looking for. Strong and attractive, this fence screen will make your place look natural and green. background-color. 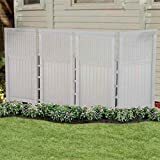 Aleko faux fence is great for backyard events, use of privacy in your yard and it may hide unsightly views, and enhance the look of your property. 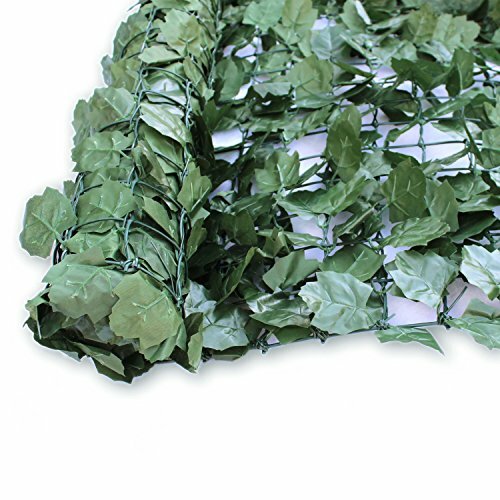 It features a realistic fade-resistant polyester ivy look and attaches to your fence for a subtle and natural decorative accent for added privacy. It's light & easy to install and goes with almost any 3ft wood or metal fence.